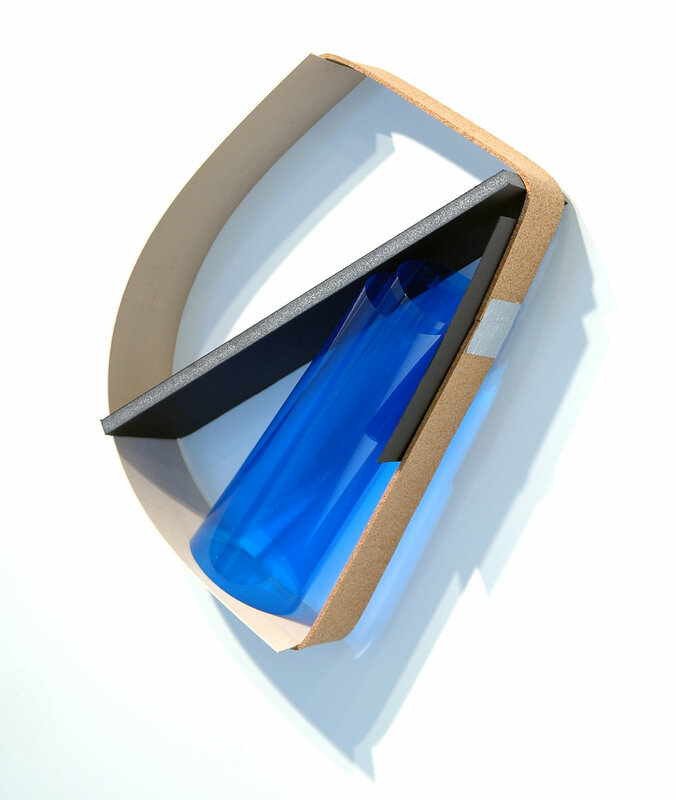 The piece in the box, 2013, foam board, plastic, tape, plastic netting, balsa wood, cable ties, 25" x 24.75" x 12"
Ripetuto, 2013, cork, foam board, blue acetate, balsa wood, aluminium tape, paper, 18.5" x 14" x 5.5"
Colonna, 2013, foam borad, paper, tape, 10' x 8.25" x 4"
Untitled, 2013, iron netting, balsa wood, iron, yellow acetate, cable ties, wire, 37.5" x 40" x 17.5"
(detail) Untitled, 2013, iron netting, balsa wood, iron, yellow acetate, cable ties, wire, 37.5" x 40" x 17.5"
Forma cercata per non cercarla, 2013, foam board, iron netting, cable ties, perforated aluminium, 39" x 22" x 16"
Silenzioso Rosa, 2013, plasitc, wax pastel, 18" x 12"
Romer Young Gallery is pleased to present its first solo exhibition with Milan artist Alice Cattaneo, Nothing quite flat and more round. There will be an opening reception for the artist this Friday, September 6, 6-9pm. For this exhibition, Cattaneo will exhibit a new series of sculptures generated during her residency at the gallery this summer. The site sensitive, loose arrangement of works is organized in the space following a circular and invisible pattern. Subtle to the viewer, the design of this imaginary architecture within the gallery space takes into consideration a rigorous yet imperfect geometry coupled with a (colorful) sense of playfulness. "I think of a Picasso’s maquette for a monument dedicated to Apollinaire that was never realized. The geometrical structure was photographed in the artist’s studio next to a long table with ceramic heads and all sort of figurative elements. There was a fascinating gap between the imaginary monument, the actual model in the studio and the stuff on the table. 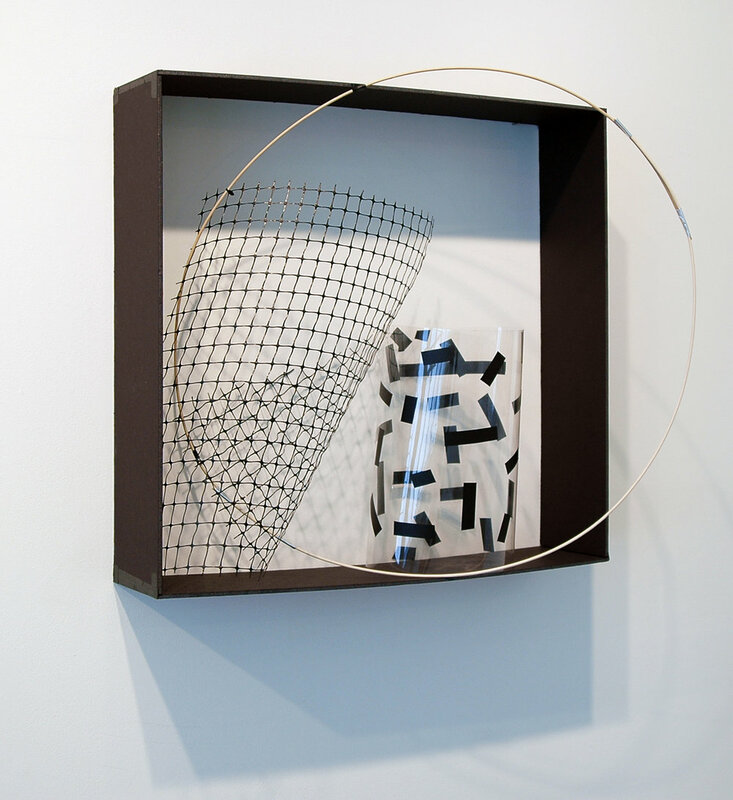 I tried to organize the sculptures in the space of the gallery considering these gaps and invisible patterns that create relationships between things." 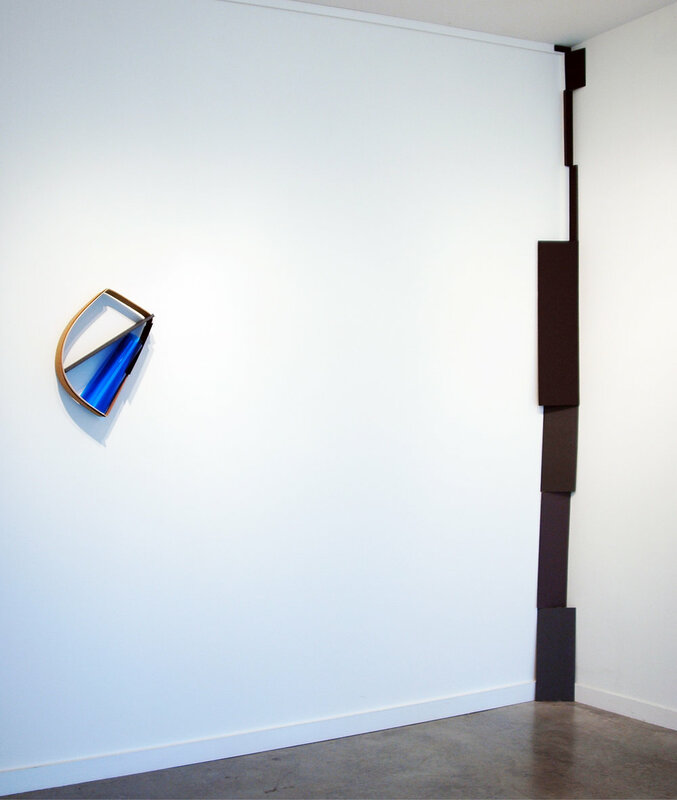 As with much of Cattaneo’s work, the sculptures are inspired by, and directly respond to their environment. Using an economy of gestures and common materials such as scotch tape, balsa wood, pastel, wire, foam board, cable ties, iron netting, the provisional sculptures balance against the walls, rest on the floor, hang from the ceiling, slightly "altering the perception of the room. The sculptures are assembled holding each other and challenging, to an extreme limit, their equilibrium…defining an apparent frangible place." The artist writes: When I first start working in a space I try to activate it by bringing materials that require movement like big pieces of cardboard or sticks of wood, and quickness like masking tape or cable ties. Then I try to follow a sort of system of selection through which forms come out and then are relocated into the physical work. It is not about memory but rather about a repetitive process that involves doing and undoing, making and remaking, the appearing and disappearing of forms. 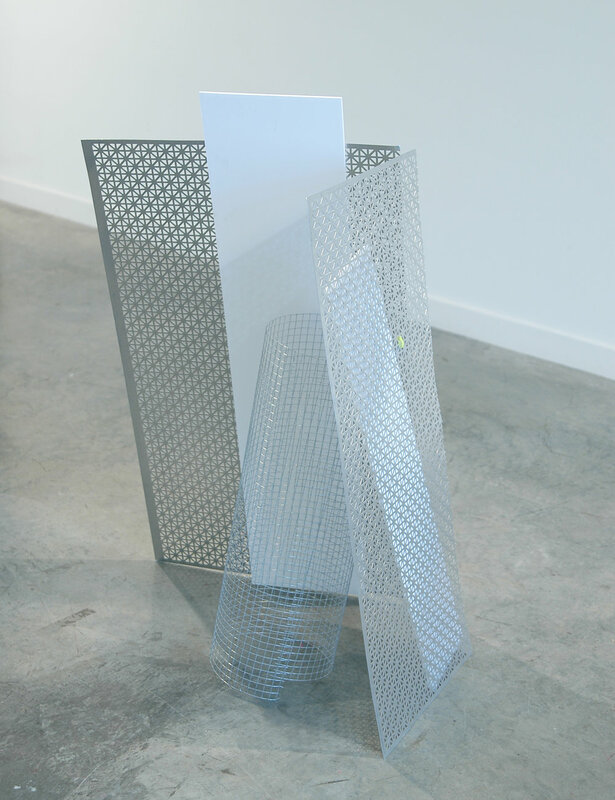 Ephemeral, fragile, and simple in their immediate reception, the constructions command a spatial presence and complexity that is counterintuitive to that which their low-tech materials and physical weight suggest. 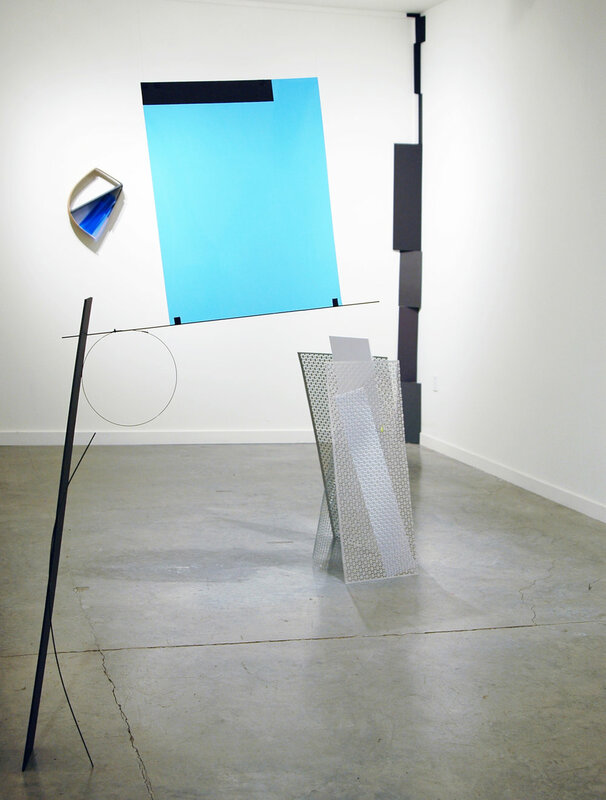 Cattaneo received her BA in Fine Art and Environmental Art at the Glasgow School of art, and her MFA in sculpture from the San Francisco At Institute. Recent solo exhibitions include Galerie Stadtpark (two person show with Fred Sandback), Krems; Galleria Suzy Shammah, Milan; Ikon Gallery, Birmingham; MADRE Museum, Naples; Analix Forever, Geneva. Selected group exhibitions include Arte in Memoria, Sinagoga di Ostia Antica; Wäscherei Kunstverein, Zurich; The Fourth Guangzhou Triennial, Guangdong Museum of Art; MUSMA, Matera; Collezione Maramotti, Reggio Emilia/Frankfurt Kunstverein, Frankfurt; Hangar Bicocca, Milan; Fondazione Pomodoro, Milan; Musée Cantonal des Beaux-Arts, Lausanne; Centro per L'Arte Contemporanea L.Pecci, Expo Shangai; Kaohsiung Museum of Fine Arts, Taiwan; Today Art Museum, Beijing; Palazzo delle Stelline, Milan; Galerie Christine Koenig, Vienna; Palazzo Grassi, Venice/MCA, Chicago; The Daejeon Museum of Art, Daejeon; MAXXI Museum, Rome; Wilhelm-Hack-Museum, Ludwigshafen. Alice Cattaneo is the second artist in residence at Romer Young Gallery’s Artist in Residence program. Many thanks to the Istituto Italiano di Cultura di San Francisco, and to Paolo Barlera personally, for their generous support of this exhibition and residency.